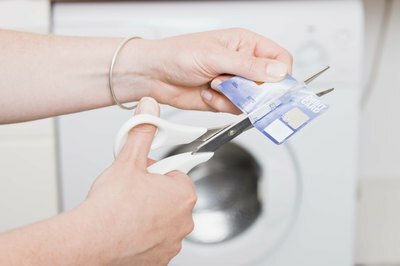 Cut up credit cards to keep from using open lines of credit. 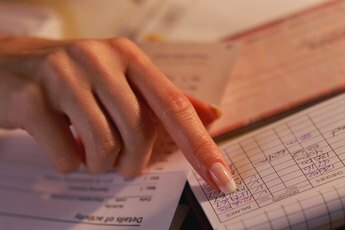 When you have open lines of credit you don't use, you might be tempted to close them. 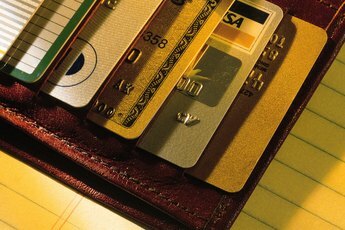 Before you make a hasty decision, however, consider how your decision will affect your credit score. 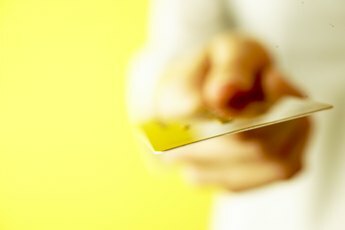 Closing your inactive credit card accounts will never help your credit score and can even hurt it. Order a copy of your credit report from all three credit bureaus: TransUnion, Experian and Equifax. An easy and free way to get a copy of your credit report from each bureau is to register at the AnnualCreditReport website. The website was developed by the three credit bureaus as a way to let consumers access their credit reports from each bureau, for free, once a year. Read each credit report and highlight all of your open credit card accounts. You might find that you have open credit accounts that you haven't thought about lately. Decide how you want to handle the open, inactive accounts. You can leave them open. Or you can make a request for the accounts to be closed. If you have inactive accounts that you've had open since the beginning of your credit history, don't close them. If you do, you will shorten the length of your credit history that is reflected on your credit report, which is not a good thing. Write a letter to each credit card issuer and request that they close each account you no longer want open. Also, ask creditors to report your account as "closed by consumer" to the three credit bureaus. As part of the Fair Credit Reporting Act, credit card issuers are required by law to report credit accounts as "closed by consumer" if the consumer makes the request, but go ahead and remind them of it anyway. You don't want it to look as if the issuer closed your account. Having open lines of credit you haven't used in years is not a concern to most creditors. If you close these type of accounts, you risk affecting your credit score. Closing a credit card account does not remove any negative or positive information that's connected to the account from your credit report. After seven years, any negative information should drop off of the report. The positive information will stick around indefinitely. If you transfer your entire balance from one credit account to another credit account and close the account you cleared, you can wreak havoc on your credit utilization. Credit utilization is the amount of revolving credit you have in relation to the amount of credit you have used. The rule of thumb is to keep your credit utilization at 30 percent or less. How do I Get Rid of a Bad Credit Rating?